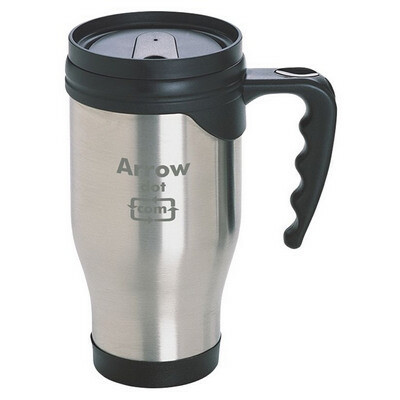 Our Stainless Steel Sorrento Mug features a unique action grip handle and safety lid with easy seal tab. Capacity: 450ml. Individual Box. Brushed Stainless Steel. Price includes: Laser Engrave. Setup is included.